Nepal is the abundance of the adventure and cultural extravaganza. The trip ranging from the easier to the strenuous can be available in Nepal. For those seeking to do trekking in Nepal yet in shorter duration, Nepal Hiking Trek has offered this amazing Short Trekking in Nepal Package. The trekking usually takes longer time and it adds to the value for the hardship that the trekkers endured to witness the majestic wonders of Mother Nature and Rich Culture of Local People. However, Nepal Hiking Trek understands the value of time, energy and money of our valued clients. This short trekking package put forwarded by us ensures the majestic Mountain View, wooded hills walk and the trail amidst Nepalese cultural heritage walk in short space of time. The trekking package includes the Nagarkot hiking or trekking, Chisapani Hiking, Shivapuri Hiking, Sarangkot Trekking and the trekking around Dhampus-Pokhara or Dhampus-Pokhara-Australian Camp. These short hiking or trekking routes of Nepal offers magnificent views of the mountains as well as the experience to witness the impeccable hospitality of Nepalese people. These short trekking sessions mainly focus on providing the knowledge on the Nepalese traditions, culture, rural setting and the unique Himalayan range in the very limited time frame. It should not be misunderstood that short trekking doesn’t provide the value of the money spent by the clients because in short duration of time also you can ascend to the greater altitudes witnessing the green lush forests, waterfall, lifestyle and the white water rapids steep downstream in the hills. Comparatively the cost endured in the trekking is less than the long trekking in Nepal. However, it equally serves you the magnificent visual delights of Nature and Culture of Nepal. 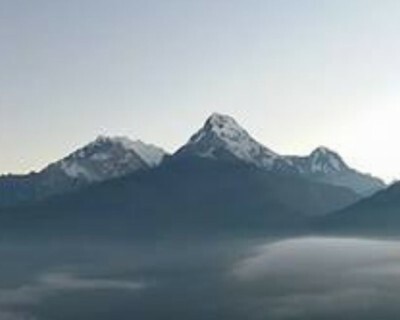 Nepal Hiking Trek is proud to announce that we are the pioneer in the Short Trekking in Nepal. The competitive prices and the diversified trails offered in the package provide back your every penny spent for the trip in Nepal. Come book with us and witness the Newar Community to the Tamang Community and feel the adventure of walking the trails leading you to these stunning beauty of Nepal. Short easy comfortable short trekking in Nepal.